For generations, we’ve associated the world-famous Time Lord with Daleks and other cosmic beings found on alien worlds, but for “The Woman Who Fell to Earth,” Doctor Who‘s season 11 premiere, Jodie Whittaker’s series newcomer will be heading to…Sheffield, a small English city located in South Yorkshire. It’s not the most glamorous setting for a Doctor Who premiere, but it seems there’s a good reason why the Thirteenth Doctor has paid a visit to there, as she’s pictured here investigating some sort of abandoned compound. 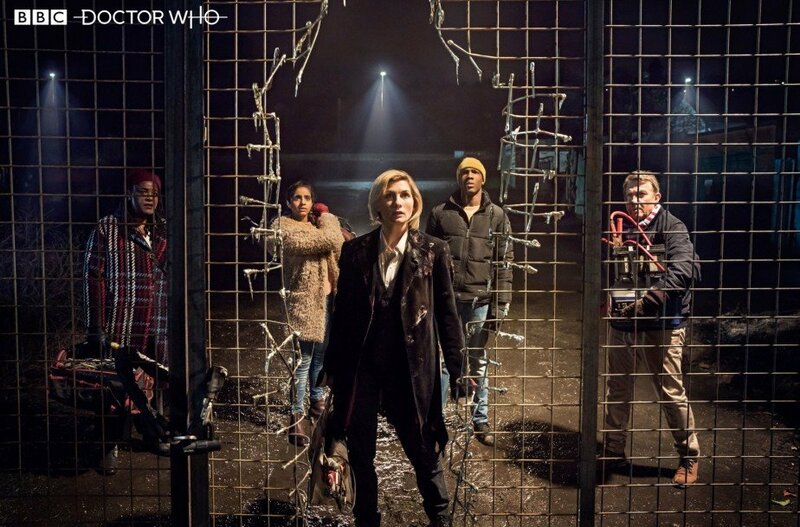 If you’ve been following Doctor Who‘s production cycle since the tail-end of “Twice Upon a Time,” you’ll notice the same barbed wire fencing from those leaked set photos, while it appears the Doctor has all three companions on standby just incase things go awry. 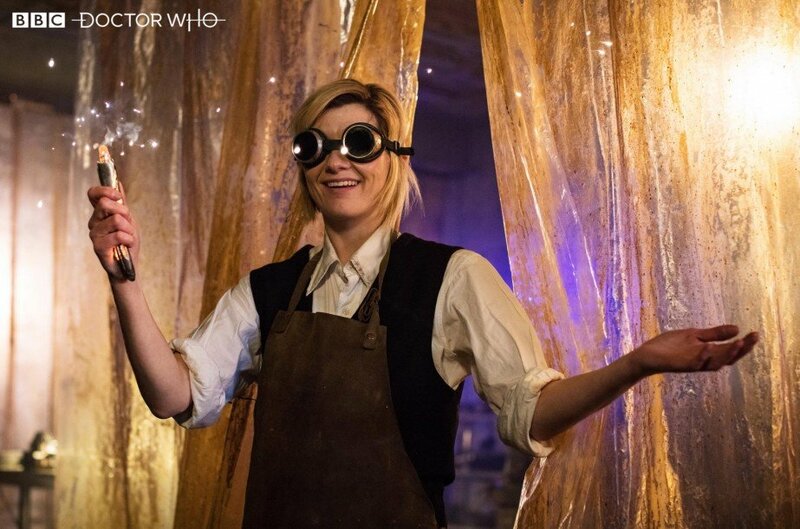 The second and final of today’s photos features Jodie Whittaker’s enthused lead experimenting with the Sonic Screwdriver, another fixture of Doctor Who lore. But for all of the callbacks and subtle little Easter eggs hidden in season 11, series showrunner Chris Chibnall has promised a much darker (and spookier!) journey than previous installments, while Daleks and Cybermen will be left on the sidelines – ditto for the whole gender swap plot twist, as Doctor Who season 11 will seemingly be too busy with its 10 standalone adventures to fret over the sudden change of appearance.